Tsutahashi Shotokan Karate Club in Ivybridge, South Hams, Devon. Affiliated with the KUGB. Established in 1987, Ivybridge's Tsutahashi Shotokan Karate Club is a welcoming and friendly club, widely recognised for its excellent standards and high-achieving students both in terms of grades and competitive success. The Ivybridge-based club belongs to the Karate Union of Great Britain (KUGB) which is the largest karate organisation in the UK, commanding great respect in the martial arts world. Grading examinations are conducted by Sensei Andy Sherry 9th Dan - head of the KUGB. The club is run on a not-for-profit basis: our focus is on high quality Shotokan Karate, an effective and strong traditional martial art taught in our club in its full depth. We don’t cut corners – this is the real thing! The quality and passion for this martial art in the club is self-evident. 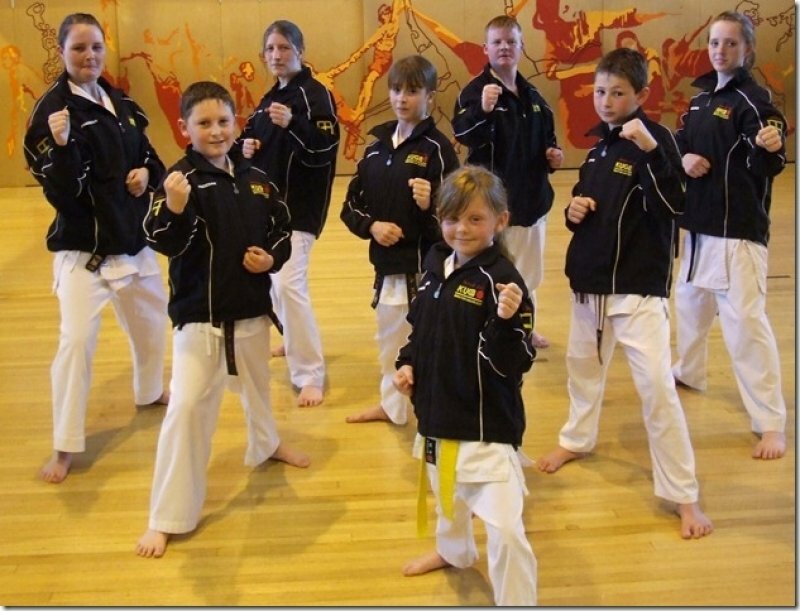 If you are looking for a high quality South Hams martial arts club you are very welcome to COME AND SEE FOR YOURSELF! Sensei Neil Rowley has been practising Shotokan Karate for over 30 years and has been a member of Tsutahashi Shotokan Karate Club (formerly Marjon SKC) since it was started by Sensei’s Gary Hulbert 4th Dan and Jane Easterbrook 3rd Dan in Ivybridge Leisure Centre in 1987. One of the many highlights of training with Senseis Hulbert and Easterbrook for Neil was being part of the team that won the South West Championships team Trophy on two consecutive occasions. Sensei Rowley achieved his 1st Dan in 1995, 2nd Dan in 1997, 3rd Dan in 2005 and 4th Dan in 2012. Sensei Rowley has been taught by many top KUGB and JKA instructors including, among others, Sensei Keinosuke Enoeda 9th Dan, Sensei Andy Sherry 9th Dan, Sensei Masahiko Tanaka 8th Dan, Sensei Terry O’Neill 8th Dan, Sensei Bob Poynton 8th Dan, Sensei Bob Rhodes 8th Dan, Sensei Billy Higgins 8th Dan, Sensei Frank Brennan 7th Dan, Sensei Yoshinobu Ohta 7th Dan, Sensei Sean Roberts 6th Dan, Sensei Gary Harford 6th Dan, Sensei Matthew Price 6th Dan, Sensei Ray Alsop 5th Dan, Sensei Bob Davies 4th Dan. (Grades correct at time of edit). Sensei Rowley has competed in Kumite and Kata competitions across the country including many times at the KUGB National Championships and the Shotokan Cup. This experience has enabled Sensei Rowley to coach a junior team Kata squad to reach the KUGB National championships final on two consecutive occasions. Sensei Rowley believes in persevering with Karate training to reap the rewards of a fit body, a strong personality, a good sense of humour, and being able to deal with difficult situations and still smile at the end of it. 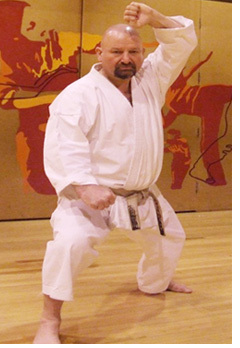 Sensei Rowley teaches Shotokan Karate in traditional style, with great attention to detail. His experience and depth of knowledge in the martial art is outstanding and he constantly strives to bring the best out of each and every student.